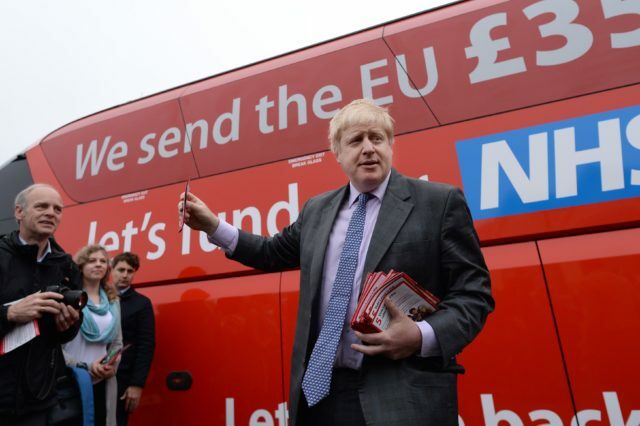 Boris Johnson has been warned he faces private prosecution over his famous claim – plastered over a Vote Leave bus during the EU referendum – that the UK sends £350 million a week to Brussels. Mr Ball alleges the claim, made or endorsed by Mr Johnson during the 2016 referendum campaign, that the UK “sends £350 million a week to the EU” was knowingly false and made with the intention to sway votes. He has spent two years preparing the case and raising finance, and has instructed solicitors Bankside Commercial to bring a prosecution on his behalf. They have retained the services of Lewis Power QC and two other barristers from Church Court Chambers to handle the case. In January, he told The Guardian that Vote Leave “grossly underestimated the sum over which we would be able to take back control”, arguing the gross figure would reach £438 million by the end of a post-Brexit transition period. Mr Power said Mr Ball’s legal team are “duty bound not to comment upon the guilt or innocence of Mr Johnson as this is a decision that can only be made within a court of law”.